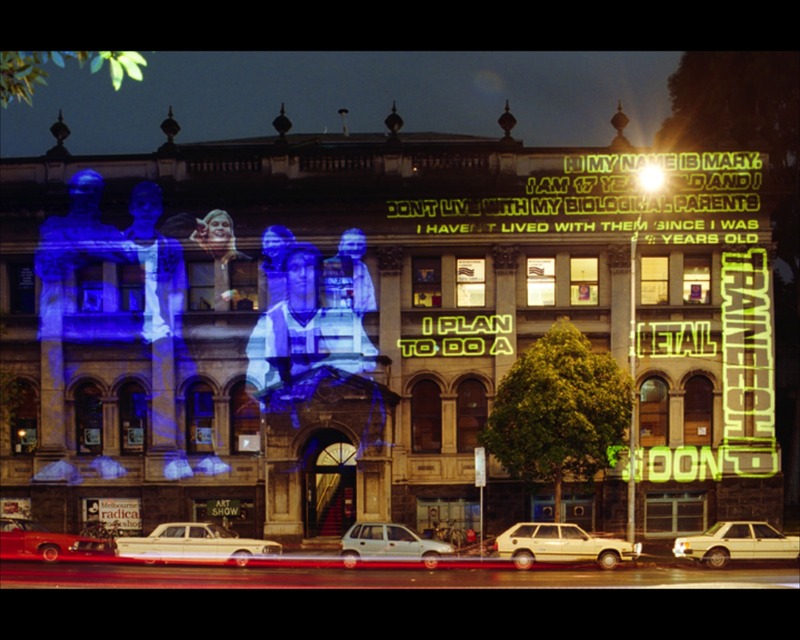 Collaboration with Ian Corcoran. 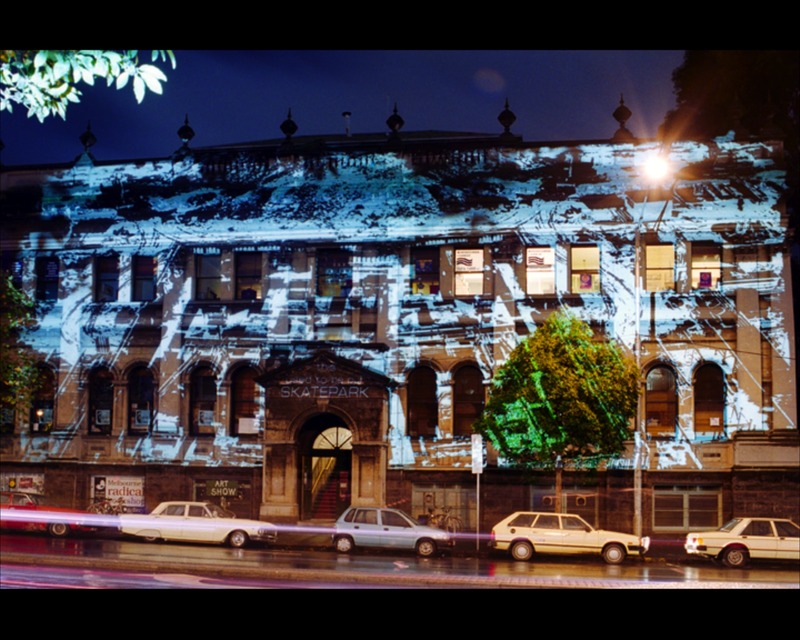 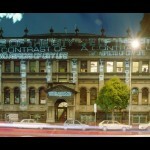 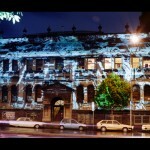 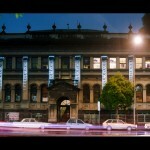 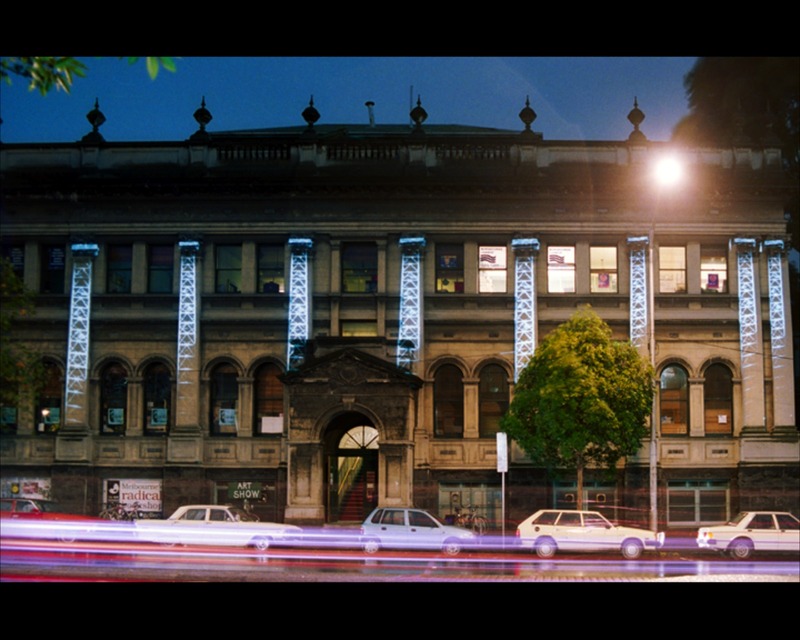 A Community Cultural Development project with ‘at risk’ teenagers culminating in a large scale urban projection installation on Trades Hall, Melbourne. 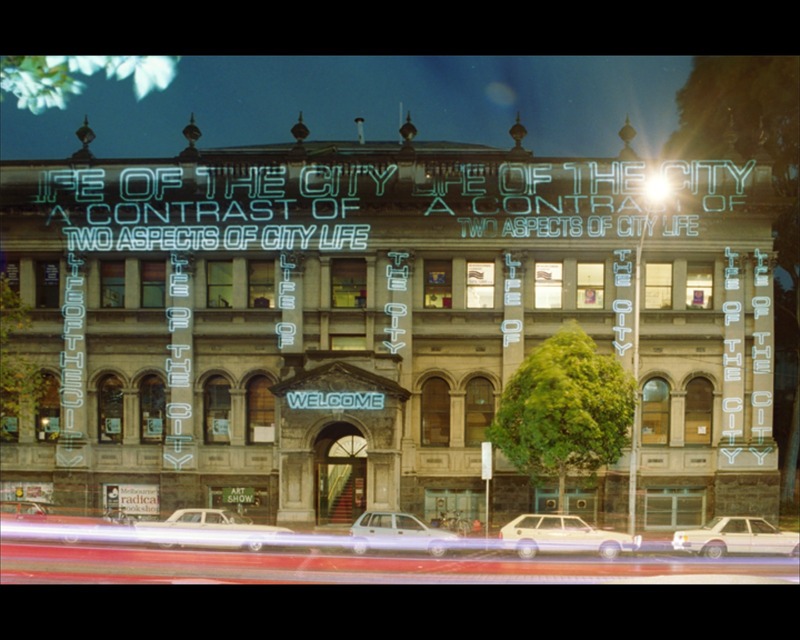 Presented as part of the Next Wave Festival 2002. 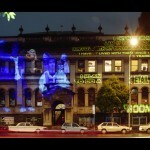 This internet site is my inspiration , very great design and perfect subject material .